Former MP and Government Minister, Denis MacShane has today been sentenced to six-months imprisonment for fraudulently claiming £13,000 in MPs expenses to which he was not entitled. This sort of thing really gets on my nerves. Mr MacShane will no doubt have been sentenced in accordance with the guidance for fraud committed by professionals. The leading case is R. v Chaytor  2 Cr.App.R.(S.) 114 who you may not be surprised to hear was an MP who made up expense claims. He received an 18-month prison sentence for stealing £50,000 from the taxpayer following a guilty plea. These cases annoy me when we compare them to the sentences handed out to benefit fraudsters. The leading case on benefit fraud is R. v Graham , R. v Whatley  1 Cr.App.R.(S.) 115 which considered two unconnected offenders together. The facts are not terribly important save that Graham's fraud was false from the start where as Whatley initially made a genuine claim that later became false due to a change in circumstances. The appeal court considered a whole host of authorities before reaching the conclusion that where a person fraudulently over claims less than £20,000 in benefits they should face between nine and twelve-months imprisonment. Admittedly the Magistrates' Court sentenceing guidelines are far less strict, although they conflate a number of offences and do not seem to sit well with Graham and Whatley. Benefit frauds are typically very small amounts of money over-claimed for very long periods of time to the point where the total amount paid out can be very high. Most benefit fraudsters I've dealt with make a genuine application and are entitled to the benefit at the start but then their circumstances change and they become entitled to a smaller amount of benefit (sometime they are no longer entitled at all but mostly they remain entitled to something). I've yet to meet a benefit fraudster living a luxurious life-style off the back of their fraud. The benefit frauds involving multiple false claims using fake identities are, in my experience, relatively rare. The MPs who made fraudulent claims typically seem to have obtained large amounts of cash in short periods of time in situations where a great deal of trust has been placed in the individual. In MacShane's case the Independent newspaper reports that he (or somebody working for him) faked the signature of the manager of the European Policy Institute multiple times on receipts. The implication of this is that the receipts themselves must be forgeries (in so far as they are not genuine receipts) else why would he have required a fake signature? The obtaining of and/or faking of receipts and signatures indicates a high degree of planning went into this offence. If Mr MacShane did not forge the signatures himself then the involvement of others raises the level of planning. Further, Mr MacShane was in positions of responsibility and trust as an MP, a Minister and head of the European Policy Institute. By committing these offences he breached the trust of his electorate, the Prime Minister and those at the EPI. For those reasons, I consider the offences committed by MPs to be far more serious than those committed by the overwhelming majority of benefit fraudsters and it is why I think that the sentence of six-months imprisonment is very lenient. Plate sin with gold, the strong lance of justice hurtless breaks. Arm it in rags, a Pygmy's straw doth pierce it. True in 1600, true now. Very lenient and already his chums are already circling the wagons in the Liberal press for redemption when he's released. Perhaps he will do a 'Pryce' and refuse to accept they were criminals and write a book about how prison doesn't work! How do the police decide whether to charge a suspect? Let’s have a quick think about what options are available to the police at the end of an investigation. First, they can charge or report you for summons to attend court. Charging means that you are given police bail and are required to attend court in person. A summons is an order from the court for you to attend or for you to send a solicitor on your behalf. 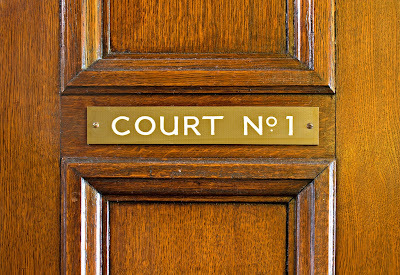 In many cases where a person is summonsed, the court will allow you the option of entering a plea by post. As a solicitor who specialises in drink driving law I don't get to the police station very often but nonetheless I was recently asked on Twitter whether I thought the advice printed on the top of a legal rep’s note papers, "Every police station, every day, NO COMMENT" was good advice or not. A few police officers have said over the years that they cannot understand why anybody would go “no comment” in interview as, from their point of view, no comment will ultimately result in a charge. First, I should make clear that "Every police station, every day, NO COMMENT" was probably not intended as advice. It is the slogan of a legal rep service called “NO COMMENT” and I suspect that this rep was working for them. A couple of years ago the government introduced a new system of bringing prosecutions in the magistrates’ court, called the Single Justice Procedure Notice (SJPN). This procedure allows the police to initiate prosecutions more speedily than under the old system and effectively allows trials to be held in which the defendant is almost deemed guilty from the start. It can only be used for non-imprisonable offences but that can include a surprising range of allegations, e.g. it was recently used to prosecute an HGV driver alleged to have knocked down a cyclist.